In many of life's darker, damper places. Take out thy dreadful blue pencil and strike! Once laughingly called a manuscript. Welcome to our online community section! The Astral Dynamics forums cover a wide range of spiritual and metaphysical topics. *These are controlled by a team of 'very' experienced moderators, who work towards creating a safe and friendly environment and sense of community for everyone. Troublemakers and abusive persons are not tolerated. 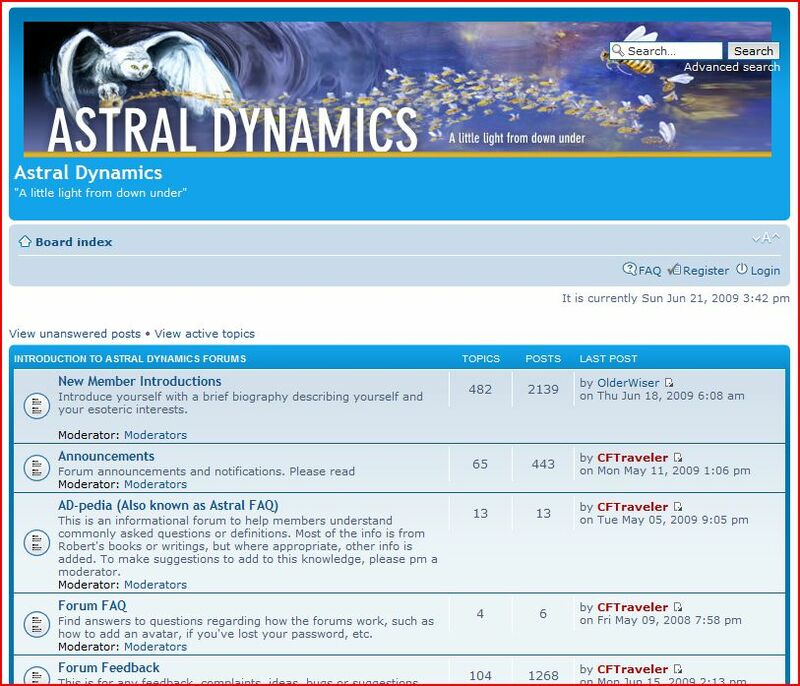 These forums cover the main topics presented here in Astral Dynamics website, including astral projection travel, OBE, OOBE, lucid dreaming, energy work, kundalini, spiritual development and thinking, and psychic security. Also covered are some areas of more general interest for discussion. Robert Bruce has an extensive Question and Answer section on these forums. There you will find literally hundreds of answers to common and uncommon problems. You agree by accessing this website and its features, forums, and blog, of the domain name www.astraldynamics.com that you have read and agree to the following legal disclaimer. . .
Attachment to things, to people, and to outcomes, is a great source of spiritual pain. First, it is important to understand what Non attachment is not. Non attachment does not mean that one does not love or care about people, things, or outcomes.